WASHINGTON, DC – Holiday spending in 2016 is expected to reach its highest point since the Great Recession, increasing 10 percent compared to last year. So, what can consumers do if they want to buy American-made clothing and home furnishings when they do not see a “Made in USA” label on the product? Tantillo says there is a very good chance that imported clothing items such as shirts and pants contain American content like cotton, polyester, yarn, and fabric if the tag indicates the garment was made in a country in the Western Hemisphere. Industry analysis of pricing data suggests that when U.S.-made yarns and fabrics are used in making pants and shirts in Latin America, U.S. components typically comprise 50 to 70 percent of the value of the finished good. “This is an important lesson for American consumers. Simply by checking the tag and understanding the partnership between U.S. textile manufacturers and Western Hemisphere countries, shoppers can buy American even though the tag may not say so,” Tantillo concluded. The National Council of Textile Organizations (NCTO) is a Washington, DC-based trade association that represents domestic textile manufacturing. To learn more about NCTO, visit www.ncto.org or follow @NCTO on Twitter. http://www.textilesinthenews.org/wp-content/uploads/2017/12/logo-header.png 0 0 ncto http://www.textilesinthenews.org/wp-content/uploads/2017/12/logo-header.png ncto2016-12-18 10:42:292017-12-19 11:06:06Check the Tag: How to Buy American When the Label Does Not Say "Made in the USA"
WASHINGTON, DC – The National Council of Textile Organizations (NCTO) applauded the Senate’s 92-7 vote to pass S. 2943, the FY 2017 National Defense Authorization Act (NDAA). With the House of Representatives having approved the conference report on December 2, the measure now goes to President Obama for his signature to be enacted into law. “This is a good bill,” said NCTO President & CEO Auggie Tantillo. “It supports American troops, strengthens our national security, and includes many provisions important to the U.S. textile industry,” he continued, noting that the Department of Defense (DOD) sourced roughly $1.5 billion in textiles and clothing last year under a buy-American procurement provision known as the Berry Amendment. “On behalf of the U.S textile industry, I want to thank the House and Senate, their respective armed services committees, and all conferees for their hard work to keep America safe and the Berry Amendment strong,” Tantillo finished. Listed below are favorable textile industry outcomes in the FY 2017 NDAA conference report. There was no increase to the simplified acquisition threshold (SAT). To trigger the Berry Amendment, contracts must exceed the $150,000 SAT. A higher SAT creates the danger of contracts being broken up to fall below the threshold. Threshold increase language was removed from the bill by the House Armed Services Committee during mark up. The Berry Amendment was exempted from changes to the procurement of commercial items (Section 874 – see page 774, lines 17-21 of the linked FY 2017 NDAA conference report .PDF). A voucher program for athletic footwear was ended and clear steps were taken toward ensuring all athletic footwear purchased by DOD is Berry-compliant (Section 817). Lowest Price Technically Acceptable (LPTA) or reverse auctions are not appropriate contracting methods for DOD procurement of personal protective equipment where the level of quality needed or the failure of the item could result in combat casualties (Section 814). DOD and the State Department were directed to brief key congressional defense and foreign relations committees on efforts to make U.S. manufacturers aware of procurement opportunities related to equipping foreign security forces approved to purchase or receive equipment from U.S. manufacturers (page 2688 of the linked FY 2017 NDAA conference report .PDF). The Berry Amendment, 10 U.S.C. 2533a, requires that Department of Defense to buy textiles and clothing made with 100 percent U.S. content and labor. 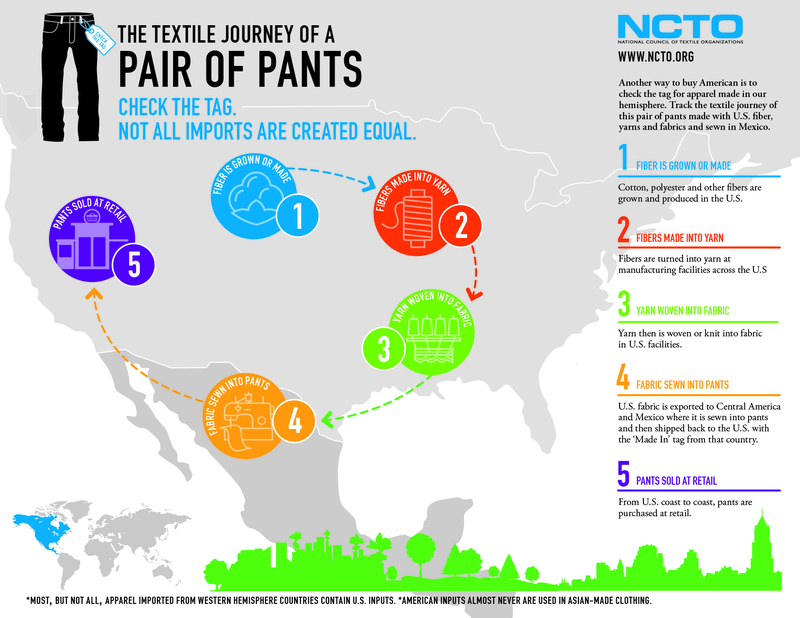 NCTO is a Washington, DC-based trade association that represents domestic textile manufacturers. Visit our website at www.ncto.org and follow @NCTO on Twitter.